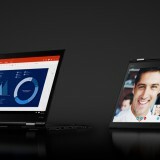 Lenovo introduced the Yoga Book in 2016, and it has been a success for the company. A machine that emphasizes digital creation and a great tool for artists. But how does it fare for more regular types of computer usage – I am a programmer after all. Read on to find out! 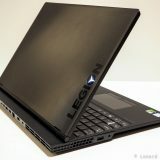 The review unit was loaned to me by Lenovo for the duration of the review. I was loaned a Windows version of the Yoga Book. You can also get it with Android, and you should look at an Android version review if you are interested in that. 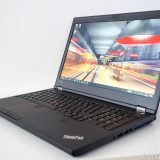 The hardware in the two versions is the same, the difference is in the operating system only. Let us start with a short summary of the Pros and Cons of the Yoga Book. In recent years, Lenovo got really good with packaging. The Yoga Book is no exception, I was pleasantly surprised how small its packaging was. It comes in a very compact and tightly packed white box. Opening the box immediately reveals the Yoga Book itself. The Yoga Book is available in several colour options (depending the OS you choose), my review unit came in a Carbon Black colour. The Android version is also available in Champagne Gold and Gunmetal Gray. And Lenovo just announced the Windows version will be available during fall 2017 in Pearl White and Ruby Red colours. When lifting the Yoga Book for the first time, I was surprised at how light it feels. At the same time it feels very solid. As I opened the display for the first time, I felt it was a little bit on the small size. The display size is only 10.1″ – barely larger than the 9.7″ iPad screen. But the resolution is a very good looking 1920×1200, which at this physical size looks really sharp. The panel used is an IPS panel, so you can view it from any angle. The colours felt saturated and images look good on the display. The Yoga Book supports all the usual Yoga modes, and contains the now familiar (and very unique) watchband hinge. In fact, if you turn the Yoga Book all the way around, into tablet mode, it feels much more like a tablet than any of the other Lenovo Yoga products. 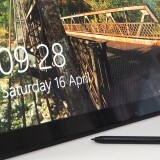 My main computer, the X1 Yoga is still so thick, that in tablet mode it does not feel like a real tablet. The Yoga Book on the other hand feels very thin. If you put the Yoga Book into stand or tent mode, you will notice the edges are not rubberized. 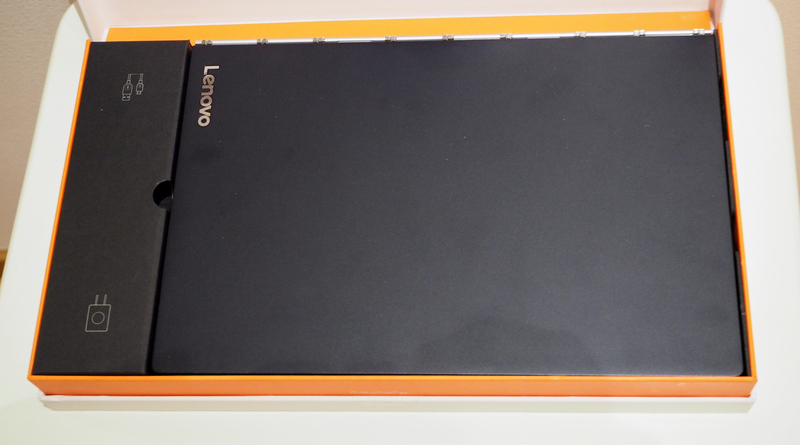 Lenovo seems to have stopped doing the rubberized edges – as found on the Yoga 900 and its predecessors -, which made tent mode more stable. The newer Yogas – Yoga 910, Yoga Book, X1 Yoga – all have “slippery” edges. The lack of rubber becomes all the more troublesome when you want to open the Yoga Book – be it closed or in tablet mode. The hinges are strong and sometimes I had a difficulty opening the notebook because of lack of grip. 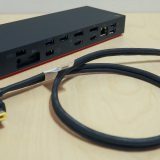 The Yoga Book’s thin profile means there are not a lot of ports available. Micro USB port, that is also used for charging. The Yoga Book contains an Intel Atom processor. The Atom name might bring up memories about “netbooks” and their not so stellar performance. The latest generation of Atom processors manage to do a better job than their older siblings. But do not still expect anything special from them. Performance wise they are the slower siblings of the Y series (former Core-M series) CPUs. The Atom processor thermal design is even lower than the Y series, at the cost of performance. 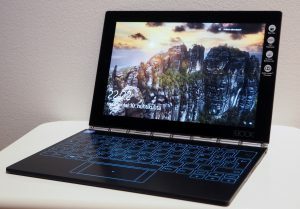 So what can you expect from the Yoga Book? Luckily video playback uses hardware acceleration. Movies and videos play back smoothly and you can watch high quality videos without problems. The graphics hardware acceleration also means that when the above mentioned complex web sites finally do load, they will operate and scroll around smoothly and react fast. 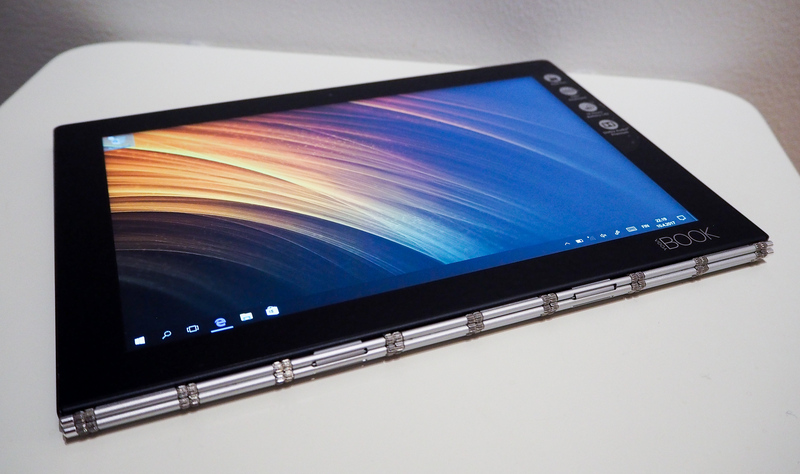 Although the Atom processor allows the Yoga Book to stay slim and light and still have great battery life, I wish it had at least a Y series CPU. The Atom processor prohibits any serious work on the Yoga Book. The Yoga Book does not have a physical keyboard. It uses something called a Halo Keyboard. 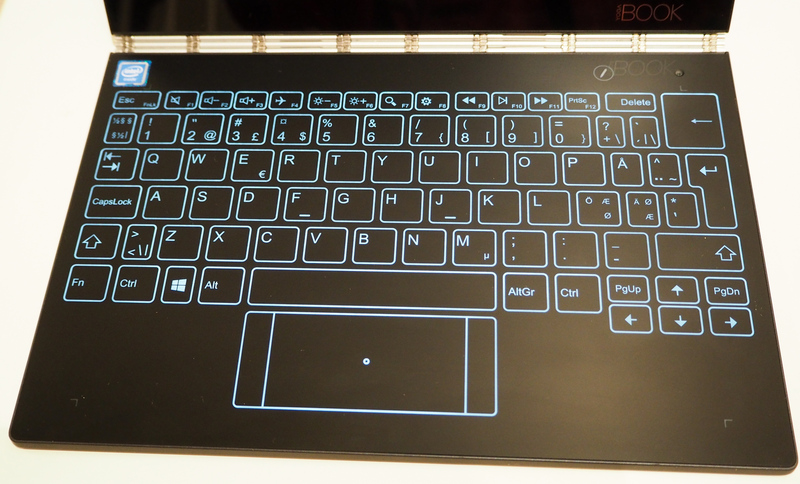 The bottom half of the notebook functions both as a keyboard and as a drawing surface. There is a button on the keyboard that switches between keyboard and drawing surface mode. When you activate the keyboard, the lights come up. The halo light looks nice. But do not mistake this with a real keyboard: there is no physical feeling to the keys. It is just a flat surface that you are touching with your fingers. The halo keyboard resembles on screen keyboards in this sense. I don’t know if it is the sizing, but it does feel easier to type on it – with less mistakes – than the on screen keyboards. But for extended typing sessions, it cannot replace a regular keyboard. As I do program development for work, the keyboard on the Yoga Book does not feel ideal for me. 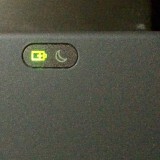 To save power, the keyboard will switch of the halo light after a while. When you touch it again, the lights come up, but at the same time the key you just touched gets pressed. Which is strange, because you could not see where you were touching. This feels a little disturbing. The notebook also vibrates by default when you press a key. This is not haptic feedback, it is just vibration. It does not enhance the physical feel of the keyboard, and in fact the vibration is loud and I find it disturbing. Luckily it can be turned off in the settings. I received the Finnish version of the keyboard for the Yoga Book, and the special keys like ä and ö are half the size of the normal keys. Now were these physical keys, this would be a smaller problem, but as there is no physical feel to the keyboard, typing in Finnish without mistakes was difficult for me. The included pen is one of the more interesting things of the Yoga Book. It has changeable tips. 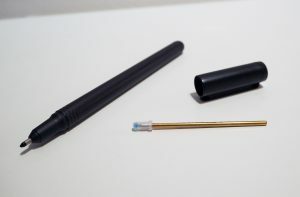 One is a regular stylus tip (for the digitizer), that you can use on the bottom half of the notebook when it is being used as a digitizing tablet. I am not used to working this way, so it was a little bit strange at first, drawing on an empty black area, but seeing the results up on the screen. But digital artists will probably feel right at home. You put a pad of paper on the digitizing pad, and start drawing or writing on it, as you would normally. Because this is a regular pen tip, it will write onto the paper just as you would expect. But at the same time, the same things you draw or write will also appear on the screen and get digitized. Essentially, you can take hand written notes, onto paper, but still have them digitized at the same time. It is fairly easy and fast to change the tips, so you can switch between these two operating modes if you want to. 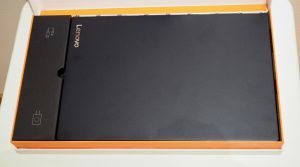 You can also use your own paper, it does not need to be the special pad of paper that Lenovo supplies. Just pay attention that it cannot be too thick, or the digitizer will not be able to pick up your pen movements. There are actually two touch surfaces on the Yoga Book. 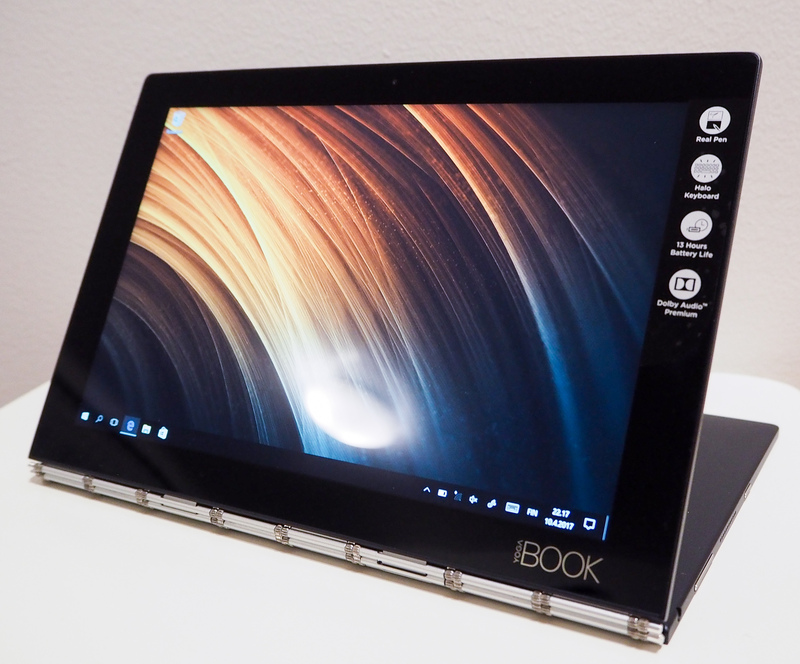 The screen of the Yoga Book acts as a touch screen. It works great, just like many touch screens in Windows nowadays. The other touch surface is of course the Halo keyboard. 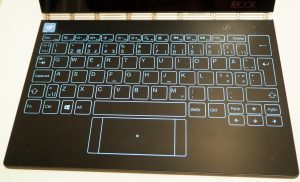 It also has a dedicated area that acts like a touchpad, with buttons. This is even more difficult for me to use than the keyboard itself, without looking at it. Unfortunately, I did not have a chance to thoroughly test battery life. 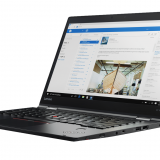 Lenovo claims up to 15 hours, which is of course overly optimistic. 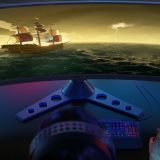 For light tasks, 10 hours should be easy to reach. The Yoga Book is a versatile and well built little machine. The small size and light weight construction makes it easy to take with you anywhere, for note taking, drawing and media consumption. 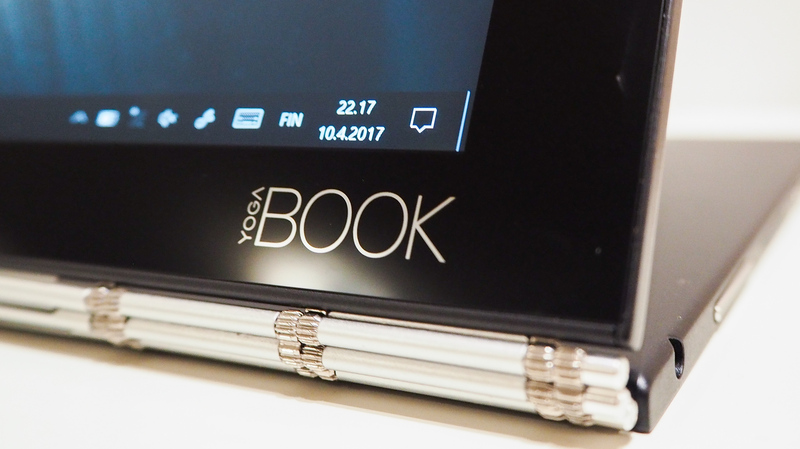 The Yoga Book is a unique device, nothing like it has been made before. If you are a digital artist or a student, it can be very useful to you. The device looks really professional (in black, anyway), so any business traveler can take it with him or her and it will not stand out in a meeting room as being something flashy. At the same time it has some constraints, like the lack of a physical keyboard or the weak performance from the Atom processor inside. If you are someone who can live with those constrains, then the Yoga Book is a wonderful little device. During the short review period I had access to the Yoga Book, I really liked it. It was a neat little device, and yet very capable. I was a little bit disappointed in the performance. I also had my doubts about the keyboard, but it performed better than I hoped for. Still, after my brief time with it, I came to the conclusion that for me the Yoga Book is not something I can use. It’s limitations in performance and keyboard make it less than ideal for my work. I would be better served by either a real tablet (for media consumption and light tasks) or by a dedicated computer (like the X1 Yoga I use for work or the Miix 510 tablet). 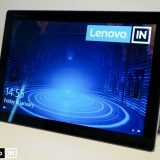 But this is my opinion as a programmer – I know of other Lenovo Insiders who have much use for such a device. Read more about what an artist thinks about it, and how it works out for him: Arthur Walker has a nice piece put together about the Yoga Book. He also talks about the Android version, which I could not test. Should you buy a Yoga Book? Depends on what you wish to use the Yoga Book for. 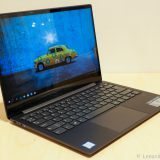 If you are looking for something to take notes on, to draw with, or to have a computer for content consumption, the Yoga Book might be the companion you are looking for. Your taste in operating systems might mean that should you prefer Windows, but want a thin and light device at the same time, the Yoga Book can serve you well. Even if you would want a tablet, I can recommend the Yoga Book. Looking for a secondary device or a travel companion? The Yoga Book works exceptionally well. The long battery life makes it ideal for working on the road. If you type a lot, then I would suggest you skip the Yoga Book. While the Halo Keyboard is ok to type on, if you type a lot or if you are a touch typists, you will miss the physical keys. Note that the occasional note taking session might be ok, just don’t assume you can get the same typing speed as on a physical keyboard. Should you need performance from your computer, be it photo editing, video editing or development, the Intel Atom processor would probably slow you down too much. I think you do a good conclusion. 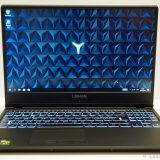 I’m looking for a small development/media device. 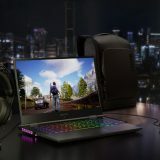 I had my hopes on Yoga Book, but the atom, emmc and the ram isn’t good enough. But I know that I could make a core m with 8GB ram work pretty well. 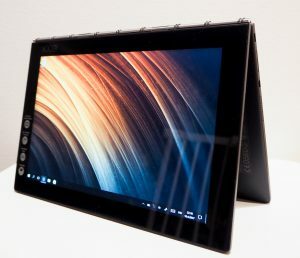 If the next iteration of Yoga Book will come with snapdragon (win10 + emulated win32) and more ram, I think this could be one of the most interesting productivity devices out there. Powerful enough to do some editing, debugging, running a database engine etc and do some photoshopping.